Software Developer. Problem solver. Cleveland, Ohio. 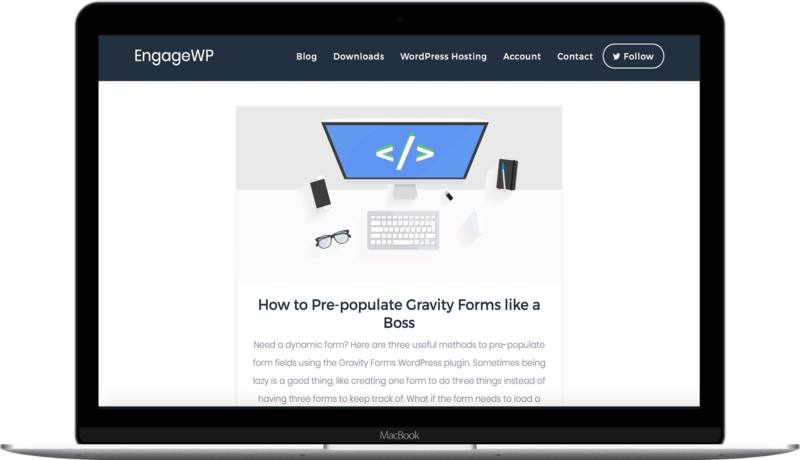 EngageWP is a blog dedicated to educational material for learning WordPress, as well as a website for selling premium WordPress-related content and downloads. 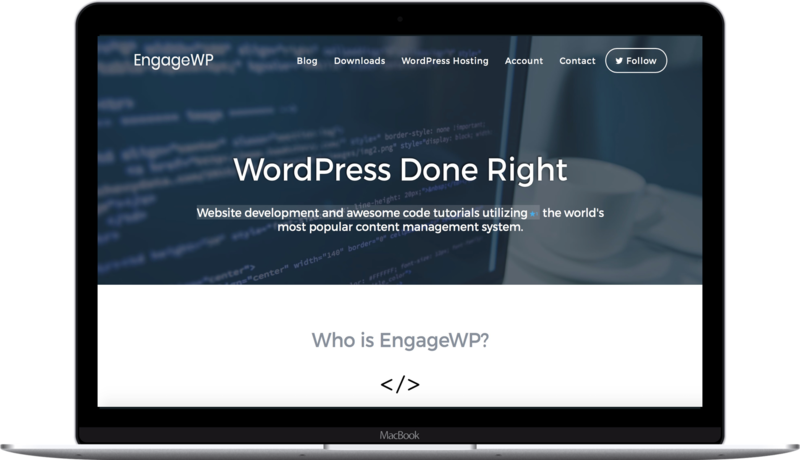 The main home page needed to convey the primary purpose of EngageWP: sharing WordPress expertise. Through a modern, gorgeous design, and short, effective copy, this point is driven home right away. 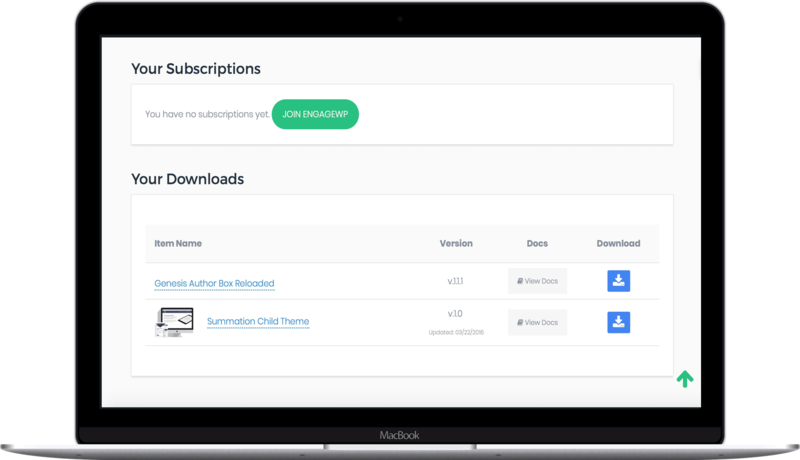 With the introduction of premium downloads on EngageWP, I needed an efficient way to show off the products, and to give customers an intuitive way to purchase them. In addition to listing various purchase/license options, products also served to upsell monthly memberships. With e-commerce features, customers need a user-friendly account area to access information about their purchases and account. The EngageWP account area shows a user all of her downloads, allows her to update account information (name, email, etc. ), and also includes an upsell for monthly memberships. Lastly, as a blog, first and foremost, EngageWP needs to show off its content in a clean, simple way for easy reading. The blog layout shows posts in a single-column view with straightforward excerpts to quickly tell a reader what the post is about. Thoughts on the EngageWP project. EngageWP is a site I built and owned for three years. The site was primarily a blog dedicated to educational material for learning WordPress. It also included premium downloads (e.g. 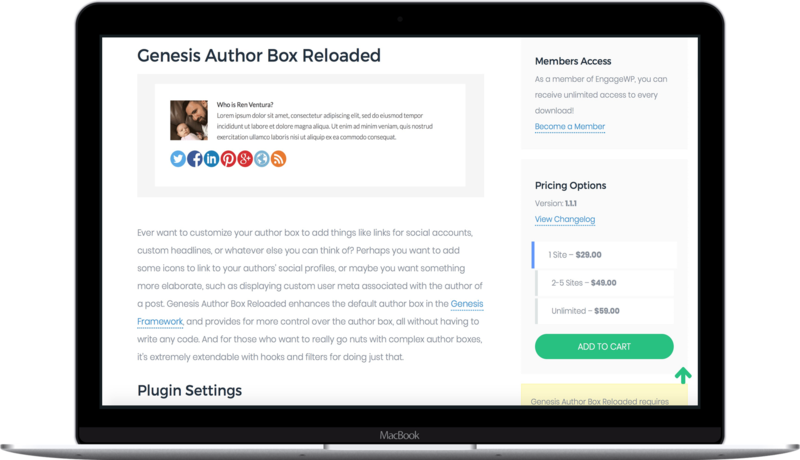 WordPress themes and plugins), as well as premium content, and membership capabilities. Through creating a large amount of content, EngageWP began to generate a fair amount of monthly revenue through direct, on-site sales, and affiliate commissions. The custom Genesis child theme emphasizes clean, modern web design with a lack of distraction (no sidebars filled with ads). Please note that projects may be altered by the client or another developer after they have been launched. Ready to dicsuss your business? Let's figure out a way for you to meet your goals. Proudly powered by WordPress | Theme: special by Ren Ventura.